I used my regular old butter cake mix and doubled it. 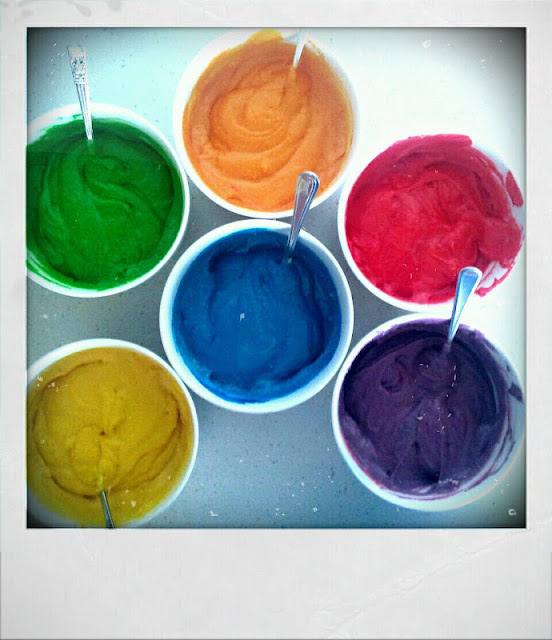 Split the mix into equal portions for colouring. 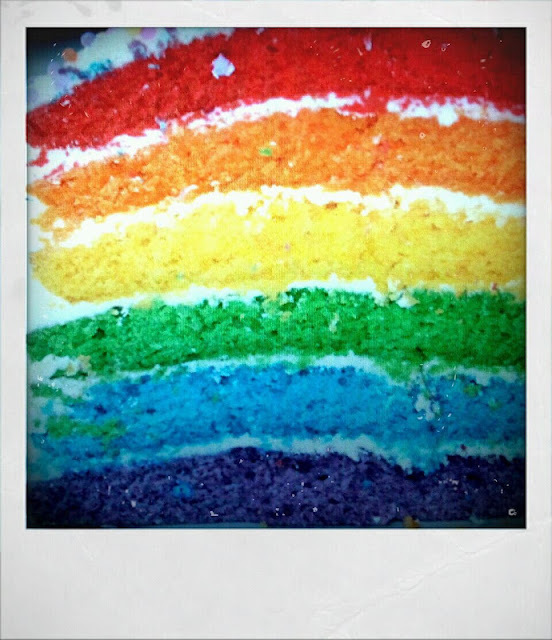 I added quite a bit of food colouring because I wanted it to be bright. Line a round tin with baking paper or grease and flour if that's what you do. That's what I do! Pour mix into tin and spread it out evenly. Bake each colour separately. Bake 180 deg for about 15 minutes. I put foil on top half way through so the top wouldn't burn. I only had two tins so baked two cakes at a time. Cool in tin for 5 mins then turn onto wire rack. 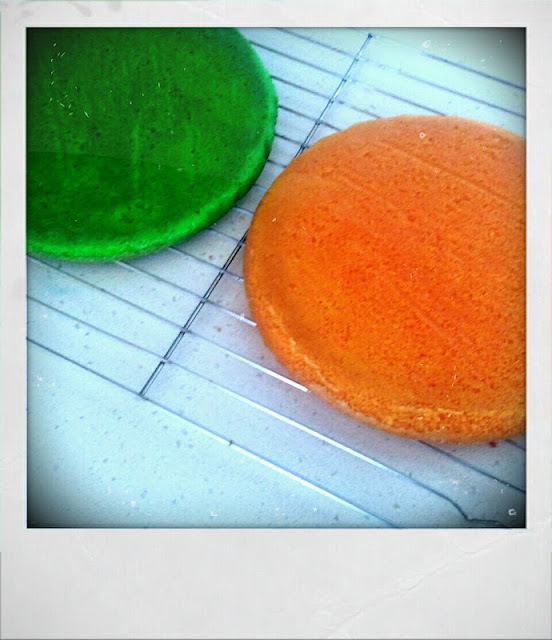 Once you have your six coloured cakes, ice the first cake and then place the next layer on top. Ice and add next layer and so on until you have them all stacked up beautifully. Ice the top and sides and decorate as you wish. 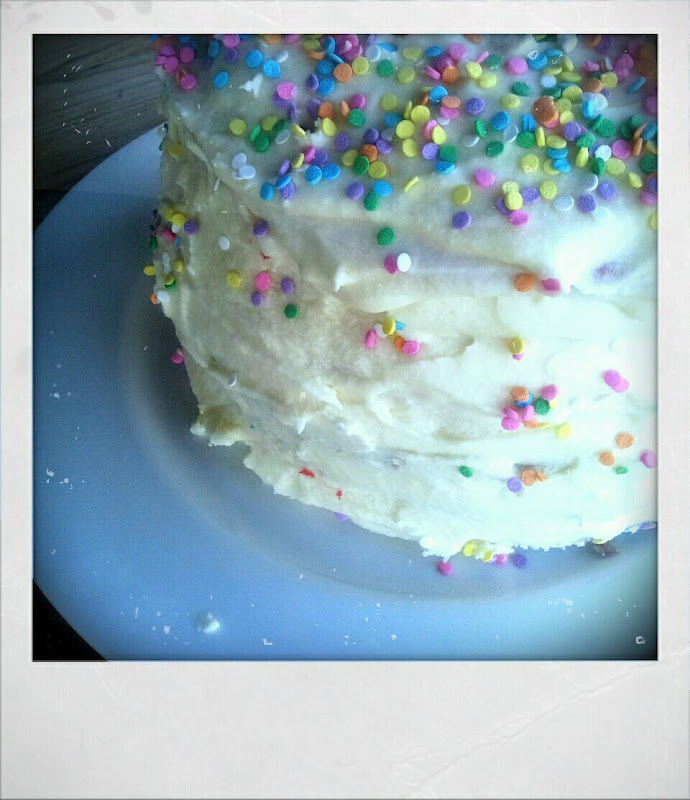 I used sprinkles and a fabric bunting that I made from the scraps of the party bunting. For the icing I used a butter cream icing. It took a bit of time but it was very easy to make, bake and assemble. The big reveal was fantastic! 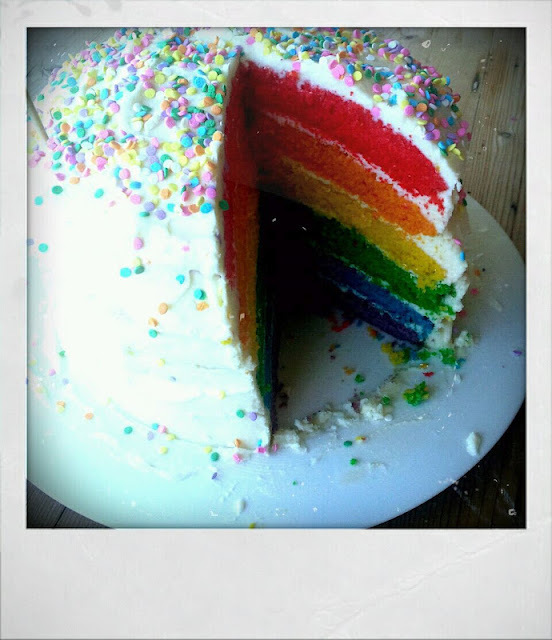 I hadn't told Lulu that it was a rainbow cake so when I cut into she smiled and said 'it's got colours'. Happy girl, happy mama! I'll definately be making it again. You did an amazing job! It looks like it was yummy. WOW! The cake turned out AMAZING... I bet Lulu loved it and I hope she had a lovely birthday. What a special cake you made. I want one for my birthday lol! This is SO AWESOME! i love it! 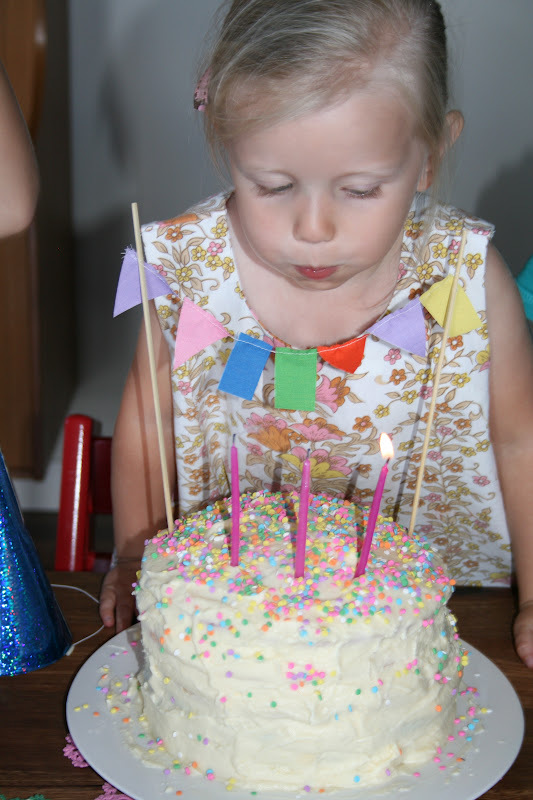 bet your little girl was stoked with such a gorgeous cake! Wow that cake is amazing Lea! I'm sure she loved it! Hope she had a fabulous birthday! !